The historian’s letter to Vinod Rai takes on everyone from Rahul Dravid and Sunil Gavaskar to the Indian cricket board and its Committee of Administrators. 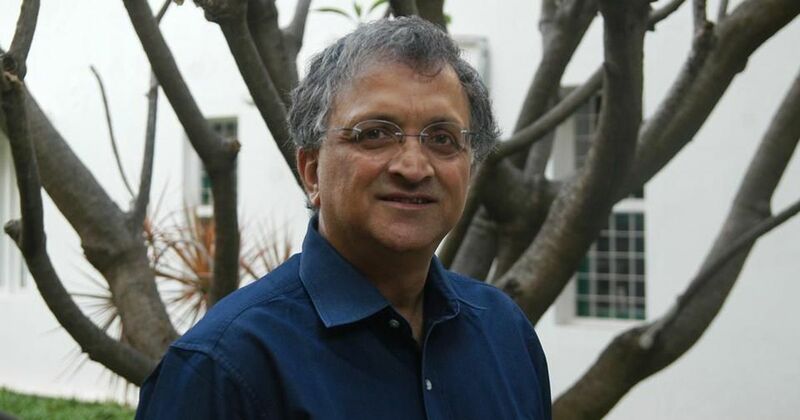 Five months after being appointed by the Supreme Court to the Board of Control for Cricket in India’s Committee of Administrators, historian Ramachandra Guha on Thursday decided to resign for personal reasons. The court has asked him to file a plea on his resignation, which will be taken up in July, PTI reported. The Committee of Administrators had been formed in January to oversee the cricket board’s affairs after the Supreme Court sacked board president Anurag Thakur and secretary Ajay Shirke. The Committee is led by former Comptroller and Auditor General of India Vinod Rai. Other members are former India cricketer Diana Edulji and banker Vikram Limaye. Here is the text of a letter Guha wrote to Rai about his decision. It has been a pleasure working with Diana, Vikram and you in the Supreme Court Committee of Administrators. It has been an educative experience, spending long hours with three top-flight professionals from whom I have learned a lot in these past few months. However, it has been clear for some time now that my thoughts and views are adjacent to, and sometimes at odds with, the direction the Committee is taking as a whole. That is why I eventually decided to request the Supreme Court to relieve me of the responsibility, and submitted my letter of resignation to the Court on the morning of the 1st of June. 1. The question of conflict of interest, which had lain unaddressed ever since the Committee began its work, and which I have been repeatedly flagging since I joined. For instance, the BCCI has accorded preferential treatment to some national coaches, by giving them ten month contracts for national duty, thus allowing them to work as IPL coaches/mentors for the remaining two months. This was done in an adhoc and arbitrary manner; the more famous the former player-turned-coach, the more likely was the BCCI to allow him to draft his own contract that left loopholes that he exploited to dodge the conflict of interest issue. I have repeatedly pointed out that it is contrary to the spirit of the Lodha Committee for coaches or the support staff of the Indian senior or junior team, or for staff at the National Cricket Academy, to have contracts in the Indian Premier League. One cannot have dual loyalties of this kind and do proper justice to both. National duty must take precedence over club affiliation. No person under contract with an India team, or with the NCA, should be allowed to moonlight for an IPL team too. BCCI in its carelessness (or otherwise) might have drafted coaching/support staff contracts to allow this dual loyalty business, but while it might be narrowly legal as per existing contracts, it is unethical, and antithetical to team spirit, leading to much jealousy and heart-burn among the coaching staff as a whole. This practice is plainly wrong, as well as antithetical to the interests of Indian cricket. I would like an explicit and early assurance from the BCCI management that such manifestly inequitous loopholes in coaching/support staff contracts will be plugged. Yet no assurance was given, and no action was taken. The BCCI management and office-bearers have, in the absence of explicit directions from the COA, allowed the status quo to continue. Sunil Gavaskar is head of a company which represents Indian cricketers while commenting on those crickters as part of the BCCI TV commentary panel. This is a clear conflict of interest. Either he must step down/withdraw himself from PMG completely or stop being a commentator for BCCI. I think prompt and swift action on this matter is both just and necessary. COA’s credibility and effectiveness hinges on our being able to take bold and correct decisions on such matters. The ‘superstar’ culture that afflicts the BCCI means that the more famous the player (former or present) the more leeway he is allowed in violating norms and procedures. (Dhoni was captain of the Indian team while holding a stake in a firm that represented some current India players.) This must stop – and only we can stop it. Yet, despite my warnings, no action has been initiated in the several months that the Committee has been in operation. As the mail quoted above noted, one reasons the conflict of interest issue has lingered unaddressed is that several of the game’s superstars, past and present, have been guilty of it. The BCCI management is too much in awe of these superstars to question their violation of norms and procedures. For their part, BCCI office-bearers like to enjoy discretionary powers, so that the coaches or commentrators they favour are indebted to them and do not ever question their own mistakes or malpractices. But surely a Supreme Court appointed body should not be intimidated by the past or present achievements of a cricketer, and instead seek to strive to be fair and just. Conflict of interest is rampant in the State Associations as well. One famous former cricketer is contracted by media houses to comment on active players while serving as President of his State Association. Others have served as office-bearers in one Association and simultaneously as coaches or managers in another. The awarding of business contracts to friends and relatives by office-bearers is reported to be fairly widespread. Had we been more proactive in stopping conflict of interest within the BCCI (as per Lodha Committee recommendations, endorsed by the Court), this would surely have had a ripple effect downwards, putting pressure on State Assocations to clean up their act as well. 3. Unfortunately, this superstar syndrome has also distorted the system of Indian team contracts. As you will recall, I had pointed out that awarding MS Dhoni an ‘A’ contract when he had explicitly ruled himself out from all Test matches was indefensible on cricketing grounds, and sends absolutely the wrong message. 4. The way in which the contract of Anil Kumble, the current Head Coach of the senior team, has been handled. The Indian team’s record this past season has been excellent; and even if the players garner the bulk of the credit, surely the Head Coach and his support staff also get some. In a system based on justice and merit, the Head Coach’s term would have been extended. Instead, Kumble was left hanging, and then told the post would be re-advertised afresh. Clearly, the issue has been handled in an extremely insensitive and unprofessional manner by the BCCI CEO and the BCCI office-bearers, with the COA, by its silence and inaction, unfortunately being complicit in this regard. (Recall that the Court Order of 30 January had expressly mandated us to supervise the management of BCCI.) In case due process had to be followed since Kumble’s original appointment was only for one year, why was this not done during April and May, when the IPL was on? If indeed the captain and the Head Coach were not getting along, why was this not attended to as soon as the Australia series was over in late March? Why was it left until the last minute, when a major international tournament was imminent, and when the uncertainty would undermine the morale and ability to focus of the coach, the captain and the team? And surely giving senior players the impression that they may have a veto power over the coach is another example of superstar culture gone berserk? Such a veto power is not permitted to any other top level professional team in any other sport in any other country. Already, in a dismaying departure from international norms, current Indian players enjoy a veto power on who can be the members of the commentary team. 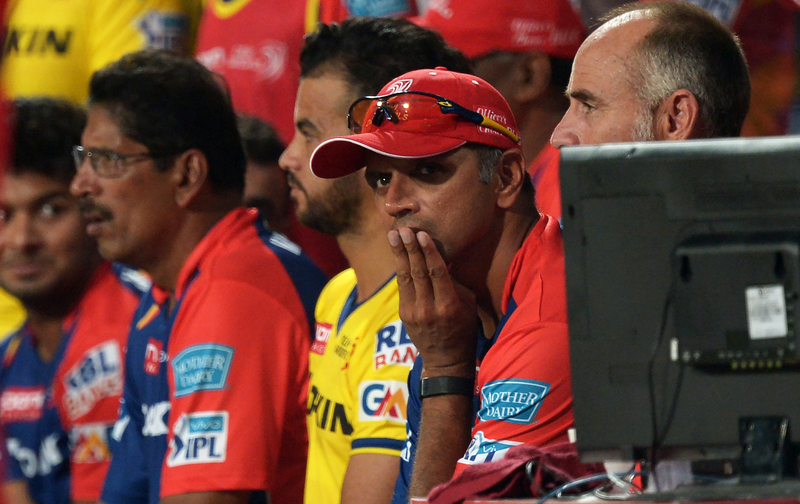 If it is to be coaches next, then perhaps the selectors and even office-bearers will follow? 5. Ever since the Supreme Court announced the formation of the COA, we have been inundated, individually and collectively, by hundreds of mails asking us to address various ills that afflict Indian cricket and its administration. While many of these issues were trivial or clearly beyond our purview, there was one concern that we should have done far more to address. This concerns the callous treatment to domestic cricket and cricketers, namely, those who represent their state in the Ranji Trophy, the Mushtaq Ali Trophy, and other inter-state tournaments. The IPL may be Indian cricket’s showpiece; but surely the enormous revenues it generates should be used to make our domestic players more financially secure? There are many more Indian cricketers who make their living via the Ranji Trophy than via IPL; besides, for us to have a consistently strong Test team (especially overseas) we need a robust inter-state competition and therefore must seek to compensate domestic players better. And yet, shockingly, Ranji match fees have remained at a very low level (a mere Rs 30,000 odd for each day of play); moreover, cheques for match fees sent by the BCCI are sometimes not passed on by the state associations to the players. We need to learn from best practices in other countries, where domestic players are awarded annual contracts like those in the national team, while their match fees are reasonably competitive too. Several months ago, the experienced cricket administrator Amrit Mathur prepared an excellent note on the need for better and fairer treatment of domestic players. Both Diana and I have repeatedly urged action, but this has not happened. 6. I believe it was a mistake for the COA to have stayed silent and inactive when the Supreme Court judgment was being so flagrantly violated by people clearly disqualified to serve as office bearers of state and even BCCI run cricket bodies. The disqualified men were openly attending BCCI meetings, claiming to represent their state association, and indeed played a leading role in the concerted (if fortunately in the end aborted) attempt to get the Indian team to boycott the Champions Trophy. All these illegalities were widely reported in the press; yet the COA did not bring them to the notice of the Court, and did not issue clear directions asking the offenders to desist either. I much look forward to meeting you all later today. I know Vikram already and greatly admire both Vinod and Diana for their remarkable work in their chosen fields, and am truly honoured to be working with them as well. I presume apart from discussing IPL, etc, with the BCCI representative we will get some time to discuss the way forward separately. I have several ideas which I wish to share with you about our collective responsibility, and wanted in this mail to flag what is most important of these. This is that we must incorporate into our committee of administrators, either as a full member or as a special invitee, a senior male cricketer with the distinction and integrity that Diana has. That will greatly enhance both our credibility and our ability to make informed decisions. The absence of a respected male cricketer in the COA has attracted a great deal of criticism already, much of it from important stakeholders in Indian cricket. It must be addressed and remedied. The amicus curae had suggested two outstanding names, Venkat and Bedi, both of whom were rejected because they were over seventy. However, there are some cricketers of the right age and experience who fit the bill. Based on my knowledge of the subject, I would say Javagal Srinath would be an excellent choice. 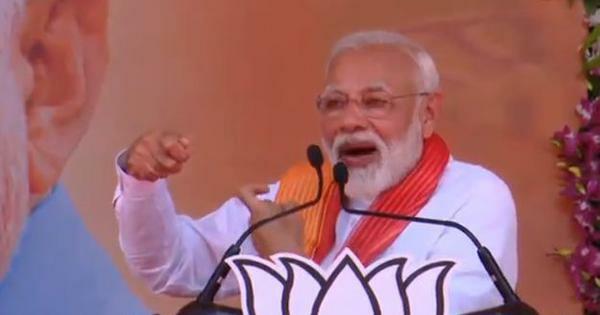 He is a world-class cricketer, was a successful and scandal-free Secretary of the Karnataka State Cricket Association and is an ICC match referee, and comes from an educated technical background to boot. I strongly urge the Chairman and the other members to consider approaching him in this regard. He would complement Diana perfectly, and the combination of these two respected and top class former cricketers would enhance our credibility and effectiveness enormously. While Srinath is in my view the best choice, there are other alternative names too. I hope we can set aside some time at our meeting to discuss and resolve the issue. p.s. Needless to say, I have not discussed this with Srinath or with anyone else. I raised this issue in a formal meeting of the COA as well, but unfortunately my proposal to invite a senior male cricketer to join the committee was not acted upon. We should have approached the Court to take necessary action, or else incorporated a senior, respected, male cricketer as a special invitee. With such a person on board the COA would have gained in experience, knowledge, understanding, and, not least, credibility. 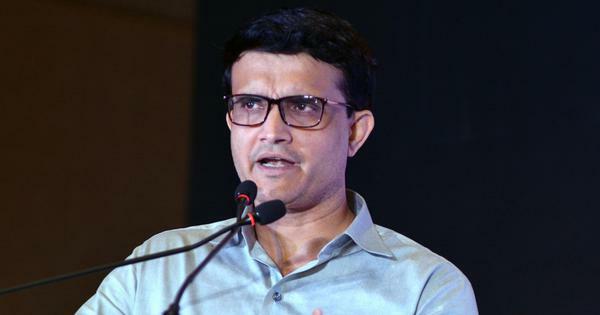 Indeed, had we such a person on board, the BCCI management and the office-bearers would have been compelled to be far more proactive in implementing the Lodha Committee recommendations than they have been thus far. As the only cricketer on the COA, Diana’s contributions have been invaluable; on many issues of administration and the rights of players she has brought a perspective based on a first-hand experience that the rest of us lacked. A male counterpart would have complemented and further enriched her contributions; but perhaps it is not too late to make amends. 8. While all our meetings were held in a cordial atmosphere, between meetings perhaps there was not adequate consultation, and there were several crucial decisions made where all the COA members were not brought into the loop. For instance, a capable, non-political Senior Counsel representing the COA and the BCCI in the Supreme Court was abruptly replaced by another Senior Counsel who is a party politician. Surely other COA members should have been consulted by email or by phone before this important change was made. I have taken too much of your time already, but permit me to make one last suggestion. This is that the place vacated by me on the Committee of Administrators be filled by a senior, respected, male cricketer with administrative experience. Let me in conclusion thank you for your courtesy and civility these past few months, and wish you and the Committee all the best in your future endevours.